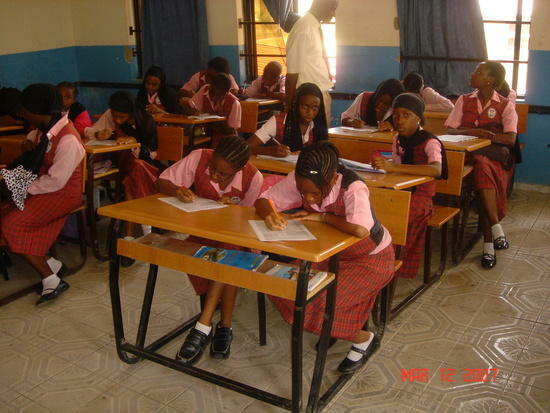 Nigeria, like many other nations in Africa is suffering from low technological and qualified skilled man-power in almost all fields of human endeavour, especially in sciences thus, there has been some efforts geared towards “western technological transfer and educational resuscitation within the federal and state level,” that is to say holistic transfer of western education and technological enhancement growth in the nation’s technological and educational acquisitions. As manifested in the percentage increase in budgetary allocation of funds to the educational sector, with the view to achieving scientific technological and economic emancipation. In an attempt to actualise this, strategically development of mathematical sciences have been the base of this worthwhile efforts. As such mathematical science per se plays a vital role in the development of science and technology, upon which the country rally national policy on educational development bases itself. Mathematics science like every other sciences stands as the threshold upon which all sciences must shuttle in order to develop itself. As Nigerias education aims to efforts, campaigns and struggles to build a “united, strong and self reliant nation, the development of the post primary institutions becomes an imperative. National Policy On Education (1977). This is because the J.S.S.C.E and S.S.C.E are pre-requisites to employment into the civil service and commercial firms as well as into the university. This implies that it is the functions of secondary education. 2. -To equip them with adequate knowledge and skills for their personal good and well being of all “to actualise those goals, the teaching of science subjects (mathematical science inclusive) which aim at.